Rietvlei Nature Reserve is part of Pretoria, Tshwane and is close to both Pretoria and Bronkhorstspruit. Situated in 3 800 ha of land, Rietvlei is home to the blesbuck, black wildebeest, red hartebeest, eland, Burchell's zebra, waterbuck, reedbuck, springbuck, mountain reedbuck, steenbuck, grey duiker, cheetah, leopard, buffalo, white rhino, brown hyena, black-backed jackal, ant-bear, aardwolf, porcupine, springhare, bush pig, hippo and a number of indigenous birds. Rietvlei Nature Reserve is family friendly and offers a variety of family and group activities. You may book for professionally guided hiking. There are facilities for an overnight stay and the trail stretches over a 21 km. There are few hours horse rides for both day visitors and those who stay overnight. One has to book well in advance to use the Rietvlei Nature Reserve facilities. Be warned, this is not for learners. The riding trail covers a 36 km distance. Want a unique spot to throw your birthday or engagement party? Look no further. You may book the Rietvlei lapa for your next event. The facility accommodates any number between 30 and 200 people. The nature reserve will provide you with firewood, a caretaker, a guard, space, the power points, an ice machine, a stove, a walk-in refrigerator, seating arrangements and toilet facilities. Usually accompanied by a braai/ barbeque, guided night drives occur every weekday and Saturdays. The drives are strictly in groups of no less than 10 people. Remember to bring refreshments and own utensils. 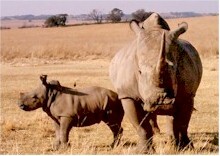 Educators and learners may organise a bus tour into the Rietvlei Nature Reserve. The groups of up to 120 children can get environment education from nature conservationists. Bookings are essential. For a night away from home pack your camping equipment and get to the nature reserve. Bring your own tent or caravan and fishing equipment. You will be provided with braai/ barbeque facilities and toilets. The dam with carp, yellow fish, catfish and kurper is also provided. Dont you like that? 012 345 2274/5103 or 012 358 1811/12. Tourist Places similar to Rietvlei Nature Reserve.